Manufacturer of a wide range of products which include automatic water softening plants, semi automatic water softening plant, frp 1000 lph ro plants, softening plant, water softener and water softening plants for bungalows and industries. We have been able to cater to the various requirements of clients by providing a wide array of Automatic Water Softening Plants Developed by making use of advanced technology, these softening plants are manufactured using high-grade raw material that is obtained from the reliable vendors of the industry. Customized as per the requirements of the clients, these softening plants are developed as per the set guidelines of the industry. With the help of skillful and devoted professionals, we are engaged in offering a best quality range of Semi Automatic Water Softening Plant to the customers. These products are available in varied specification to cater the client requirements. Offered collections of products are highly appreciated by our patrons owing to their longer life and light weight. Moreover, the whole range of products is checked on well define industry parameters prior to its dispatch. 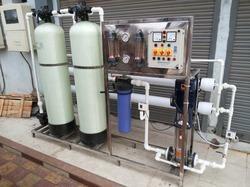 Over the years of experience in the industry, we have been able to provide the customers with FRP 1000 LPH RO Plants. These RO plants are manufactured using quality-approved raw material that is sourced from the authentic vendors of the industry. Reliable and efficient in nature, our offered RO plants conform to the industry set norms and guidelines. We are consistently delivering a quality assured spectrum of Softening Plant to our prestigious customers. These products are made from high quality inputs using upgraded technology as per the set industry norms. Offered ranges of products are highly demanded by our valuable clients due to the precise designed and best quality. 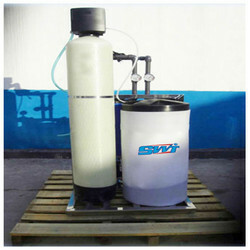 We have gained the specialization in offering a wide array of Water Softener in the market. The offered product is manufactured using best quality components and top notch technology. These products are rigorously checked by a pool of quality controllers on defined parameters in order to deliver flawless products at the clients end. Presented products are available with us in different stipulations to meet the diverse demands of the customers. Moreover, this product is available at most economical rates. 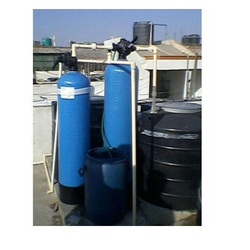 We are the leading suppliers of Water Softening Plants For Bungalows And Industries. Calcium (Ca2+) And Magnesium (Mg2+) Ions That Cause Water Hardness Can Be Removed Fairly Easily By Using An Ion Exchange Procedure. Water Softeners Are Cation Exchange Devices. Cations Refer To Positively Charged Ions. Cation Exchange Involves The Replacement Of The Hardness Ions With A Non Hardness Ion. 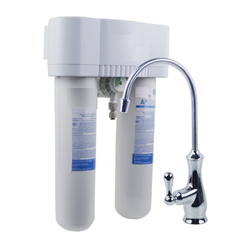 Water Softeners Usually Use Sodium (Na+) As The Exchange Ion. Sodium Ions Are Supplied From Dissolved Sodium Chloride Salt, Also Called Brine. In The Ion Exchange Process, Sodium Ions Are Used To Coat An Exchange Medium In The Softener. The Exchange Medium Can Be Natural "Zealots" Or Synthetic Resin Beads That Resemble Wet Sand. As Hard Water Passes Through A Softener, The Calcium And Magnesium Trade Places With Sodium Ions (Figure 1). Sodium Ions Are Held Loosely And Are Easily Replaced By Calcium And Magnesium Ions. During This Process Free Sodium Ions Are Released To The Water. After Softening A Large Quantity Of Hard Water The Exchange Medium Becomes Coated With Calcium And Magnesium Ions. When This Occurs, The Exchange Medium Must Be Recharged Or Regenerated (Figure 1). To Recharge The Softener With Sodium Ions, A Softener Is Backflushed With A Salt Brine Solution. During A Back Flush The Brine Solution Replaces The Calcium And Magnesium Ions On The Exchange Medium With Sodium Ions From The Salt Solution. 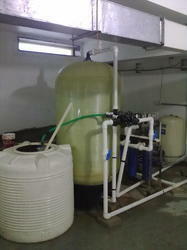 Before Buying Any Water Treatment Equipment, You Should Know What Impurities Are Found In The Water Supply. Types And Amounts Of Impurities In Your Water Can Be Determined By A Certified Laboratory. The Results Of The Water Test Will Help Determine If Softening Is Needed. The Water Testing May Reveal If Other Water Treatment Is Required. If You Obtain Water From A Private Water Supply, Water Testing Is Your Responsibility. Water Testing Should Be Done On A Regular Basis. If A Problem Is Suspected, Test More Often. Community Water Supplies Are Monitored And Treated To Protect Users From Health Threatening Water Impurities. Ask Your Supplier For A Copy Of The Latest Water Test Results. Hard Water Is Considered A Nuisance Water Problem. Hardness Removal Is Not A Necessity To Protect Your Health. Water Softening Is Popular Because Most People Prefer Softened Water For Bathing, Cleaning And Washing.